← Pampering My Skin. Naruko? There has been quite a hype with Witch Hazel Toner. Majority of the review has pretty A+ comments about how it has helped them with acne breakouts. There are numerous brands like Dickenson, Humphreys, Thayers, Meijer, Bretanna and majority are made in US and some are other countries. There are a wide range of cosmetic be it in the market or DIY homemade has witch hazel added. After looking at different blogs, I decided to gave Thayer’s Witch Hazel toner a try. It has all natural ingredients and according to Thayer, these toners do not have expiration dates. I was quite spoil by the choices available and wonder what are their differences. 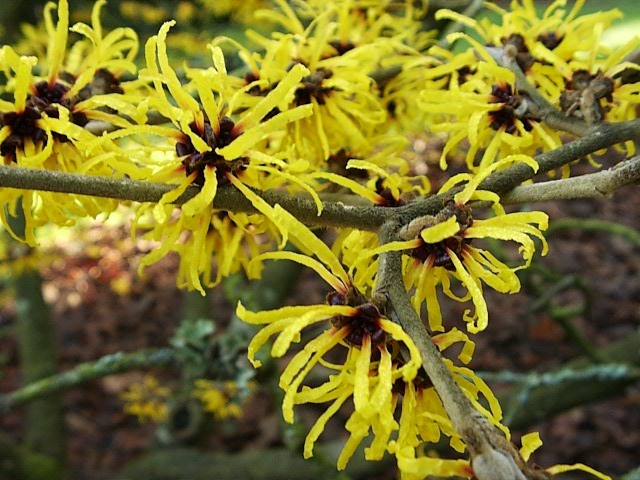 Thayer’s witch hazel has 5.5-6 ph(potential hydrogen) level. Why is this important to know? Astringent series has 14% alcohol where it is an approved standard requirement by the USP (U.S. Pharmacopeia). Some has reported in various reviews saying they do not have any big issues with the astringent series other than being somewhat drying. However, do keep away from our eyes, they do sting. There are tonnes of youtube video that shows you how stinging it can be. I don’t intend to try this tho. Some protested, there is no way alcohol free series are 100% alcohol free. Thayer’s website has no additional information about their distillation. However, the American Distilling claims that it can be achieved using Proprietary Distillation Process Extraction Method to produce Alcohol Free Witch Hazel Distillates (Witch Hazel extracts) from partially dried, dormant twigs of the Hamamelis Virginiana Linne Plant (Witch Hazel). For dry skin, they recommend non Alcohol series. Natta Cosme sold out of rose petal witch hazel toner. Hence I check with Lazada once again and healthhub seller got a good price and promotion. They come in an express bag with thick secure bubble wrap to protect it’s content. Best of all, they gave me a discount code for RM10 off for my next purchase. Who doesn’t like discounts. HEHE. Thanks darling! When I went over to their website, it prompt first purchase gets 10% off but has an expiration of 10 days only. So check out your purchase before you ask for the voucher code. I have combination skin. I’ve been using it for a little over a month now. I do see some improvement on my skin. Inflammation has reduced. Acne breakout has reduced. Not major. I do have some mix results. Partly because of the humid weather, then the dry air-condition in the office and my diet as well. The toner seem to work better if I splat a number of cotton pad soaked with which hazel on my face and leave on like some mask. It gives good moisture. I have not notice much how my pore has shrunk yet. It still looks the same to me tho. If my face is oily, I tried removing the oil with a little witch hazel. Result, pretty good. It has the same result as my DIY apple cider vinegar toner. Witch hazel toner, I prefer as a leave on mask to soak my face and as a face spritz. When I finish this bottle, I will try the one from the Astringent series. On a bright side, my “guinea pig” friend (it’s a human) has dry skin and he has major improvement within the first application. The skin texture has improved and it isn’t as dry. He also has cold sore on the lip and that helps to calm it down tremendously. Awesome for him. Two THUMBS up he says!! This entry was posted in Beauty and tagged Alcohol Free, Anti-Aging, Astringent, Beauty, cold sore, combination skin, Discounts, dry skin, Face, face spritz, Good Seller, Guinea pig friend, Health Hub, Lazada, moisture, Natta Cosme, NattaCosmeMy, Online Shopping, Rose Petal, Skin, Skin PH, Thayer, Thoughtful Seller, toner, witch hazel, Witch Hazel Toner. Bookmark the permalink.